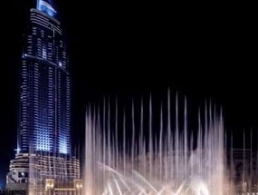 Located in the happening heart of Downtown Dubai, the hotel has the world's tallest tower, Burj Khalifa and the stunning Dubai Fountain on its doorstep and is flanked by The Dubai Mall, the world's largest shopping and entertainment centre. The Address Downtown Dubai reveals a new art in offering service and comfort, where every guest's stay is treated as an individual experience. A combination of outstanding facilities and superlative attention to detail makes it the premier lifestyle destination for international travellers.